NASA introduced 12 new astronauts on Wednesday, June 7 at Johnson Space Center in Houston, TX. This year was a record year in the history of NASA, the twelve astronauts, five of whom are women, were selected out of a candidate pool of over 18,000 applicants. The astronauts will begin training for missions into Earth orbit and to deep space. 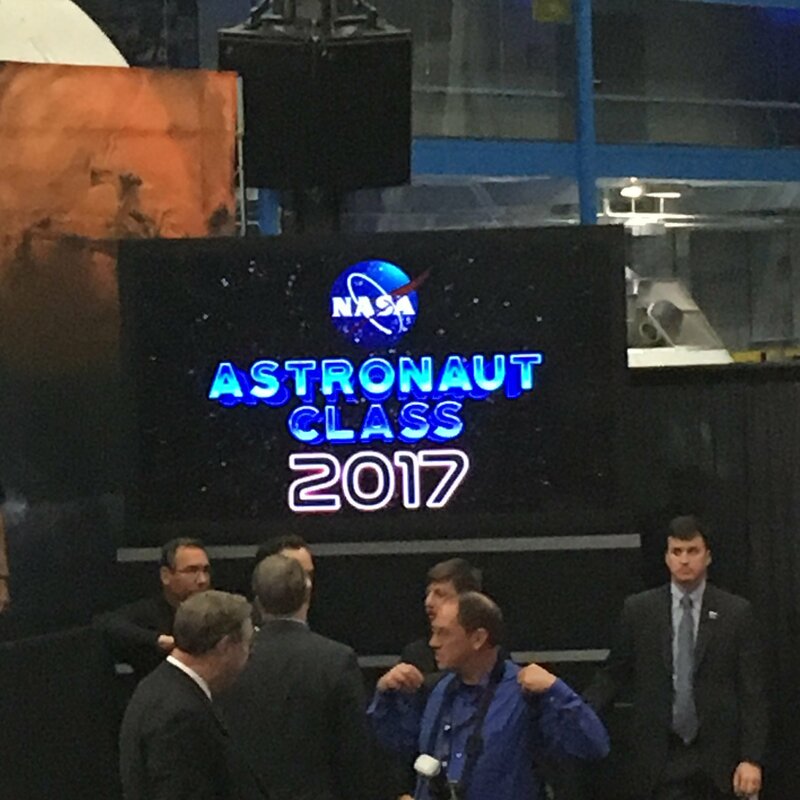 The astronaut class of 2017 was the 22nd class of American space flight trainees since 1959. 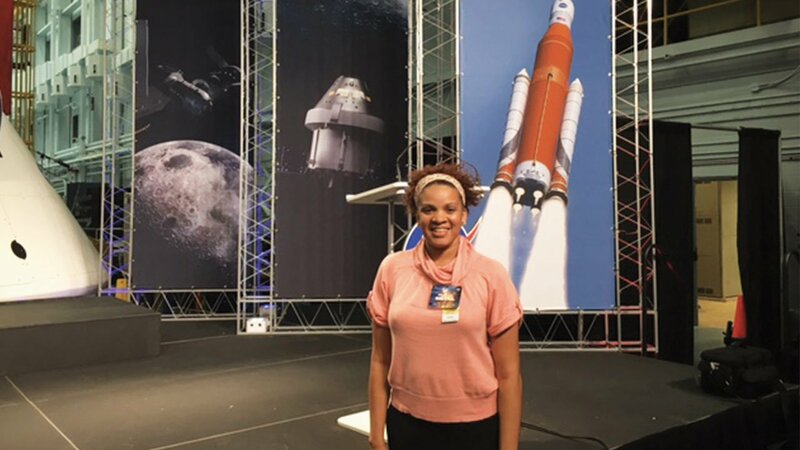 Kesha Rogers, reporting for 21 Century Science & Technology, attended this very inspiring event. There, bringing greetings from Washington D.C. on behalf of President Donald Trump and the White House, was Vice President Mike Pence. Vice President Pence joined NASA leaders, including acting administrator Robert Lightfoot, and director of flight operations, in Houston, Brian Kelly, in announcing the new astronauts. Also attending were several elected officials, including Senator Ted Cruz, Congressman Lamar Smith, Congressman Jim Bridenstine, and Governor Greg Abbot. Many other local officials and others representing congressional offices were also present. The presentation of the astronauts took place inside JSC’s Space Vehicle Mockup Facility, in front of a full-scale engineering model of NASA’s Orion spacecraft. The following quotes capture the essence of Vice President Pence’s speech. The full speech can be found at NASA.gov. “To the members of this new class of American astronauts, I say congratulations,” stated Vice President Pence. “ As American astronauts, you may yet return our nation to the moon. You may be the first to travel to Mars. You may have experiences that we can only imagine,” he said. Following the ceremony with the new astronaut class addressed by Vice President Pence, Kesha was able to join other members of the media for one on one discussion with NASA representatives, speaking on behalf of NASA’s Commercial Crew Program, Orion spacecraft, and ISS. There was also time for a question and answer session with the astronauts. Some very exciting discoveries are being made in deep space exploration, and with ISS. One important note from the event was that there is still no mention of a choice for NASA administrator and the emphasis on commercial space flight, really as a means of cutting corners and saving money, shows how desperately we require a national space mission, and true vision that which inspired the nation and the world under president John F. Kennedy. This is a moment in our nation’s history that Americans should be very proud about the great potential being unleashed, but, we have to truly harness that potential. We will only achieve our goal of returning America to greatness in space through increased international cooperation, including collaborating with China, as well as our other international partners. We must revive a a national mission in space exploration, which will secure the highest level of safety and responsibility to the lives of our astronauts, as they adventure on new discoveries, but will also increase the benefit of economic progress to our nation, as well as all nations around the world. The first step is that we need to implement an economic recovery program for the United States which will immediately implement Lyndon LaRouche’s Four Law’s, starting with the reinstatement of Glass-Steagall, followed by the implementation of a National Credit system. We need immediate investment in a national infrastructure platform, including a space platform for the advancement and discovery of new technologies, and new resources, that will advance the whole of human knowledge, and allow us to increase the standard of living of every person on earth. There can be no shortcuts to achieving our national goal in restoring America’s leadership in space. We cannot allow for Failure to become an option any longer in our commitment to space. This entry was posted in LPAC, Space Exploration and tagged Common Aims of Mankind, Houston, Kesha Rogers, NASA, scientific discovery, Texas. Bookmark the permalink.